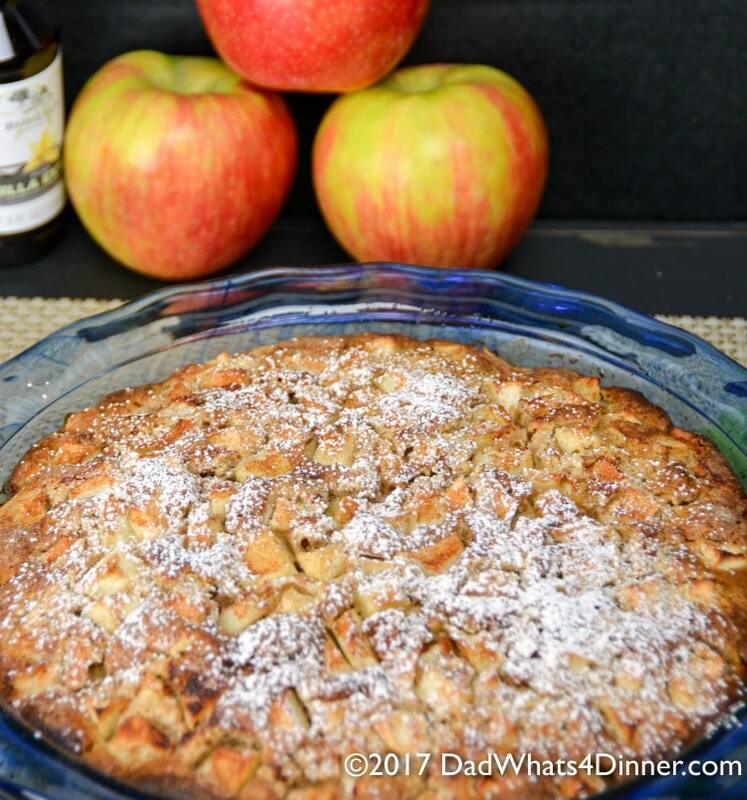 It’s apple season and my Apple Fritter Pie will hit the spot. 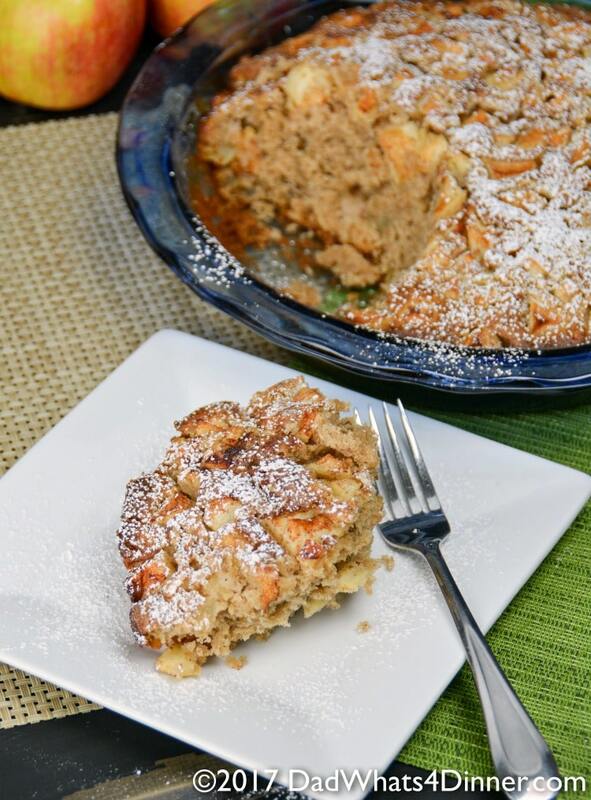 All the great taste of apple fritters but easily baked in a pie pan. I love this time of year. I was going to say the cool fall crisp air and the leaves falling but it is 93° here in SW Ohio and my AC was out all last week. Not fun working from home when you are sweating your arse off sitting at your desk and you really have no desire to heat up the kitchen and bake. 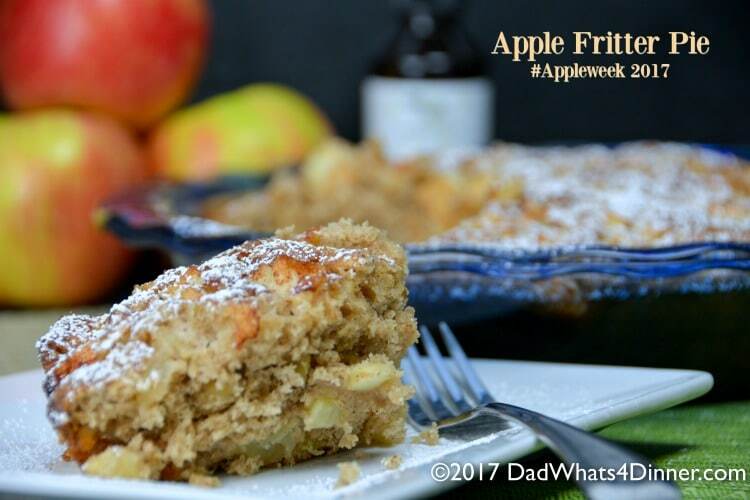 Luckily the AC was fixed last Friday just in time for me to make this awesome Apple Fritter Pie for #Appleweek. 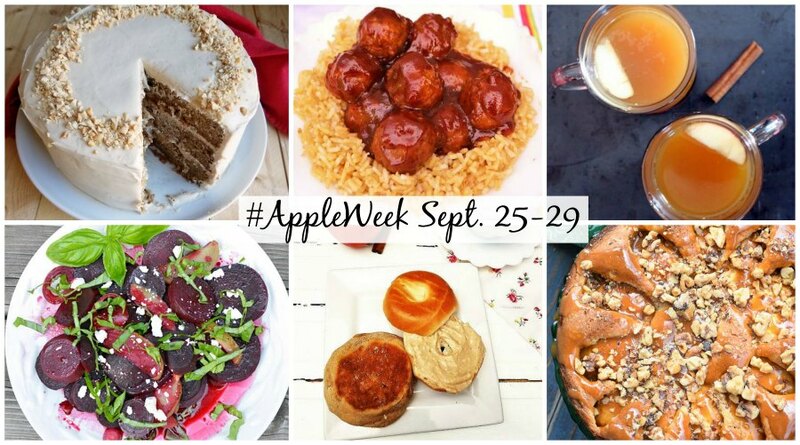 A great group of my blogging friends has teamed up to bring you over 100 apple recipes for #Appleweek 2017. This year we were able to work with some great sponsors to provide gift packages for an incredible Giveaway. 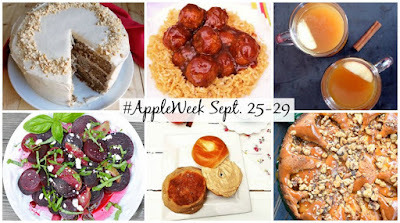 Carlee, my friend over at Cooking with Carlee is the brains behind #Appleweek and has worked hard with others to secure the sponsors for this fun fall event. So today my recipe for Apple Fritter Pie combines one of my favorite pastry’s without the hassle of frying. The pie is probably more cake-like than pie and I almost changed the name to Apple Fritter Coffe Cake but it was too darn hot!!! 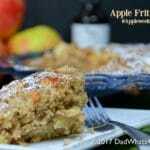 Apple Fritter Pie would be perfect for breakfast, brunch or dessert. See, it is the perfect fall pie. Hope you enjoy all the great recipes and be sure to check out and follow all of the great bloggers below. Don’t forget to sign up for the “Giveaway” and show our sponsors some love. 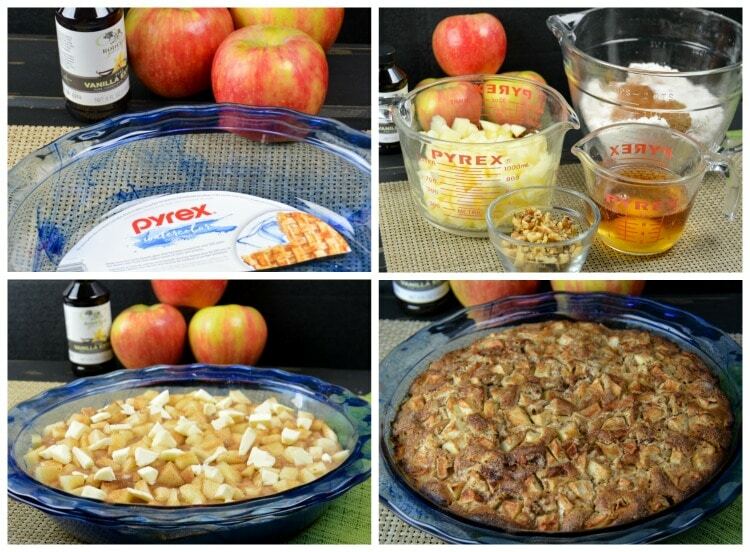 Start by greasing a Pyrex pie pan with butter; set aside. In a small bowl whisk together water, egg, and Rodelle Vanilla. In a large bowl, sift together Bisquick mix, granulated sugar, brown sugar, cinnamon, nutmeg and a pinch of salt. Mix together the wet and dry ingredients until combined; do not over mix. Fold in Rainier apples, reserving 1 cup, and walnuts. Spoon the batter into the prepared pie pan. Sprinkle the top with remaining apples, cinnamon-sugar mix. Top with bits of butter. Bake for 45-50 minutes until golden brown. Dust with powdered sugar before serving. Serve warm with vanilla ice cream. Yum!! 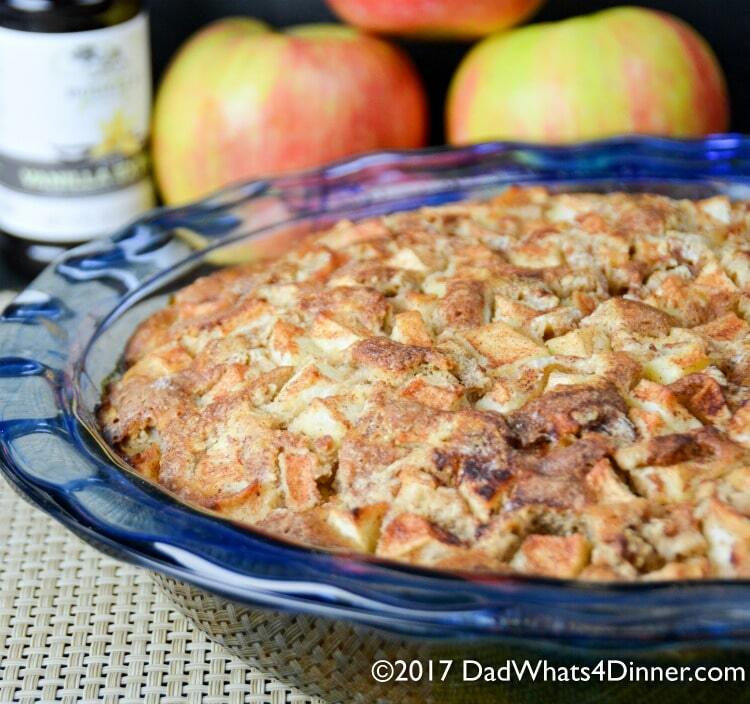 It's apple season and my Apple Fritter Pie will hit the spot. 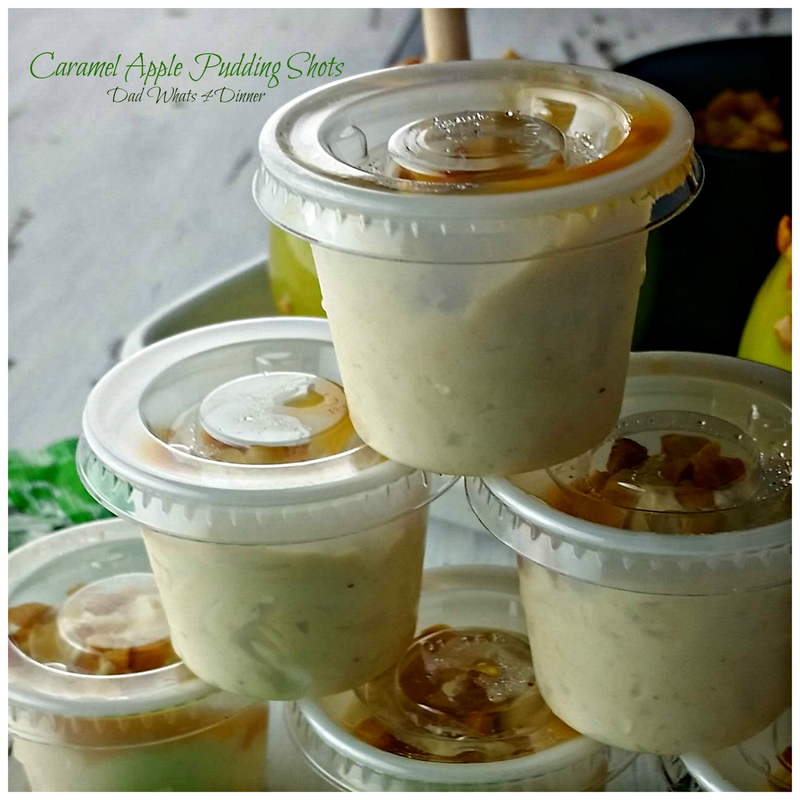 All the great taste of apple fritters but easily baked in a pie pan. In a small bowl whisk together water, egg, and Rodelle Vanilla. In a large bowl, sift together Bisquick mix, granulated sugar, brown sugar, cinnamon, nutmeg and pinch of salt. 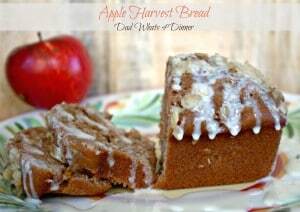 Fold in apples, reserving 1 cup, and walnuts. Spoon batter into prepared pie pan. Sprinkle the top with remaining apples, cinnamon-sugar mix. Top with bits of butter. Bake for 45-50 minutes until golden brown. Loosely based on a recipe from Betty Crocker! 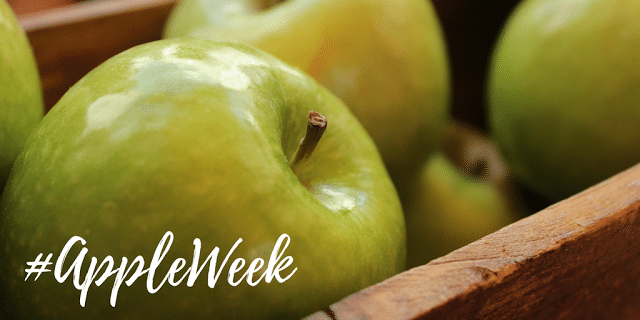 So let’s get the #Appleweek 2017 party started. Don’t forget to follow along on Facebook, Twitter and Pinterest as well. Look at all these great titles for today’s apple extravaganza! Love that you use bisquick in your fritter pie. This looks delicious. It makes it very easy. Thanks for stopping by! Hasn’t this weather in the Midwest been crazy. We spent the morning at the lake and my husband and granddaughter are back in the pool again. Amazing! Problem is it will go straight to winter here soon. I’ll take a slice with coffee for breakfast and another with a scoop of ice cream for dessert. ok?! It looks great! 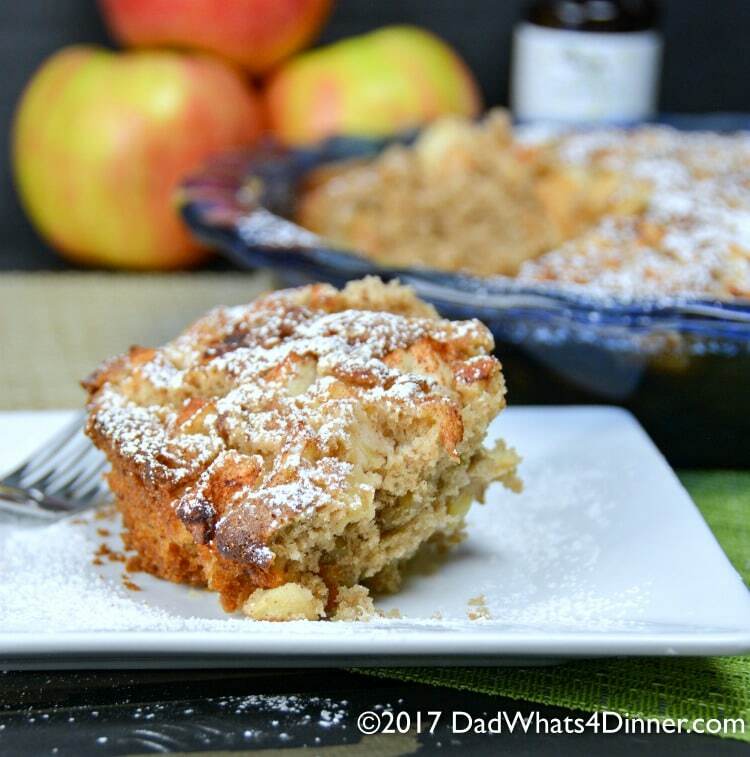 What a great looking apple fritter pie…looks delicious!